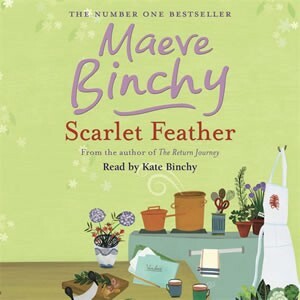 Drama, humour, warmth and wonderful characters… vintage Binchy – the No.1 bestselling author of Heart and Soul. Cathy Scarlet and Tom Feather have decided to create the best catering company in Dublin. They have the perfect premises, heaps of talent, and even a few contacts, but not everyone seems as pleased by the idea of ‘Scarlet Feather’ as they are. Tom’s parents are disappointed that he has turned his back on the family business. Cathy’s husband buries himself in work, becoming ever more distant, whilst his mother thinks Cathy should stay at home to look after him. And Tom’s relationship with his beautiful, ambitious girlfriend becomes fraught as she struggles to realise her dream of becoming a model. As Cathy and Tom strive to maintain their emotional ties amidst catering triumphs and disasters they are supported, and undermined, by an enchanting cast of classic Binchy characters.